However tautological it might sound, the more Forrest Fang personalizes his music, the more it individuates itself from others in the ambient-electronic field. To be precise, it’s not so much the San Francisco Bay Area-based artist’s compositional voice that marks his music as his but rather the arrangements and instrument choices used in the productions. 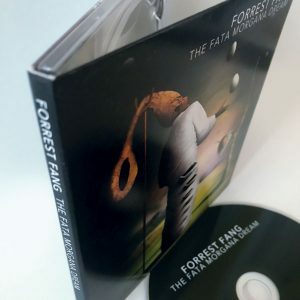 On The Fata Morgana Dream, his seventeenth solo album in a recording career spanning more than three decades, synthesizer and electronics are augmented by violin, saron, cumbus, Burmese gongs, Japanese palm harp, and Harry Bertoia sound sculpture, among other things. The album’s unusual title includes a term that refers to a special type of mirage that makes objects appear to float in a narrow band immediately above the horizon. It’s easy to draw a connecting line from that phenomenon to the eight pieces on the release, considering that Fang purposefully designed the atmospheric material to approximate a state midway between sleep and waking. If the music induces a quasi-dreamlike condition and a sense of time-suspension, said effects are consistent with Fang’s intentions. 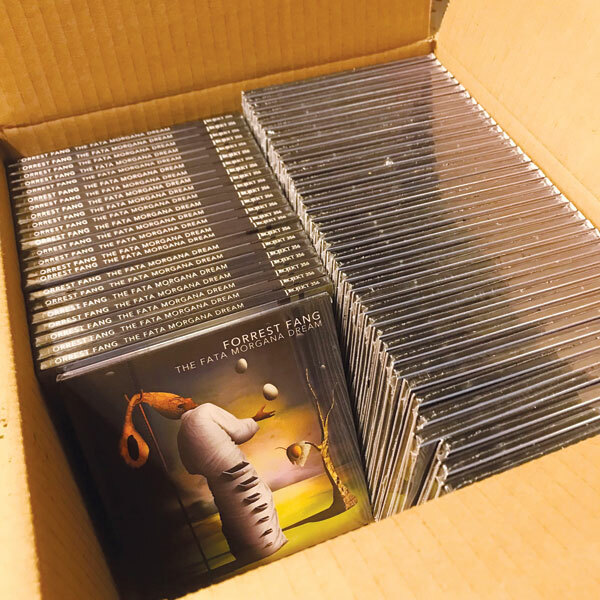 With track titles such as “Lullaby for a Twin Moon” and “Dream of the Last Fisherman” in play, a programmatic character can’t help but inform the recording, with these and other titles creating the idea of a nocturnal journey. After a blissful, electronics-heavy opening establishes a state of luxuriant calm, “The Mouth of the Sea” lunges into action, animated as it is by the emergence of rapid-flowing, dulcimer-like patterns; here in microcosm we witness the move from an intro that could conceivably have been produced by any number of ambient practitioners to a gamelan-inflected swirl that’s got Fang’s fingerprints all over it. Wrapping themselves around the thrumming center, ethereal choral emissions and vaporous washes add to a dense sound design that swells to epic proportions and carries on into the subsequent roar of “Matted Leaves.” The gamelan dimension resurfaces in the phantasmagoric wail of “Night Procession,” though this time beefed up with polyrhythmic drumming and other percussion flourishes, and in the slow-motion entrancement of “Dream of the Last Fisherman,” whose individual character’s heightened by the presence of Burmese gongs and Japanese Palm Harp. At album’s end, Fang first distinguishes “Remembrance Point” by draping echo-drenched ripples of acoustic piano across a base of electronic strings and then individuates “To the End and Back” by threading the snake-like rattle of stroked Bertoia sound sculpture textures into a long-form meditation otherwise built from shimmering violin and synthesizer elements. To Fang’s credit, almost every piece separates itself from the others through the incorporation of distinct details, be it violin, piano, or gamelan percussion. As initially stated, it’s this that gives his music its personal quality and helps make his recordings particularly rewarding. >My Choice< In my opinion composer Forrest Fang has delivered some very well crafted, evocative ambient art the last five years previous to this one. 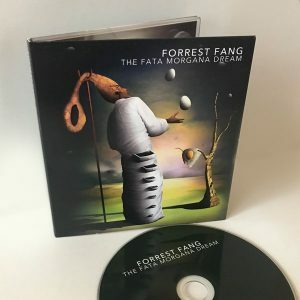 The high quality is extended on The Fata Morgana Dream (again mastered expertly by Robert Rich) offering a fine and spacious blend of acoustic and electronic sounds from the West and East. In the words of the composer it’s a series of atmospheric pieces that are connected by a nocturnal and free-floating spirit that allows different instruments, treatments and effects to interact in a malleable space. The rich and very open sounding 67-minute result is hypnotizing, dreamful and scattered with gliding textures, swirling patterns of motion and varying dynamic levels. It opens up windows to beautiful farscapes of which the borders seem to expand or even briefly disappear as the mesmerizing, dreamful journey spreads its wings. And yes, the delicate sonic perfume of gamelan and Indonesia surfaces here once again occasionally (“Night Procession”, “Dream of the last Fisherman”). Normalerweise ist eine Fata Morgana nur eine optische Täuschung – aber dieser Traum, oder diese Fata Morgana ist echt. 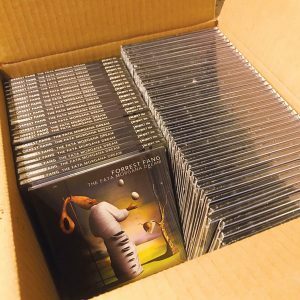 Denn sie taucht jdesmal wieder auf – als Download, oder als CD ….. und das ist gut so! Appropriately titled, most of Forrest Fang’s catalog could seem like the soundtrack of dreams, and this latest release underscores that sense, from the sprawling eleven-minute opener “The Mouth of the Sea” to the closing moments of “To the End and Back,” Fang masterfully uses synthesizer textures and electronics blended with a variety of (often heavily processed) exotic acoustic instruments to achieve the widescreen panoramic vistas that a listener can immerse themselves in on any of the eight tracks herein. While the textural aspects are certainly in the floating ambient realm, with elements sometimes sounding akin to distant voices, the acoustic and micropercussive bits offer a very detailed beauty if one chooses to listen closely – and I do recommend that – headphones and low light are best for the experience. There are muted melodies spun throughout the fabric that coalesce and build a strong identity in each of the pieces, though what melodies are heard may at times seem somewhat random and happenstance, as on “Her Fading Image,” where the backdrop seems to be built of processed strings and the melodies emerge from it, seemingly from some sort of harp or zither, all immersed in deep echoey reverb. Has a lost tribe ever been discovered that was actually lost? Forrest Fang might be from one such clan. His release The Fata Morgana Dream (66’50”) feels from out of some unexplored quarter – and so as fresh and unexpected as life itself. Convinced we are wandering through a stranger’s dream this work creates a swirling blend of the real and the mythic. Content as ever to revel in his own designs, Fang shifts the music between realms – insisting as always on the amazing complexity of the world. As usual, multiple influences have been woven together with extraordinary artistry. Providing a sense of place, in the most abstract of geographic terms, the eight tracks of this album are themselves fascinating journeys through uncharted territory – with Fang as our brilliant traveling companion. A pleasant escape, The Fata Morgana Dream tracks the mind as it moves through it. Beneath the permeating reverb of its sustaining atmosphere are granular textures. Saturating drones penetrate our listening space, as acoustic instruments are picked, plunked, strummed and struck – yielding a rhythm deeper than that of any digital native. Soundtracks of a secret zone, the compositions build out and shimmer like a mirage on the horizon. All are varied meditations on what it is to be one kind of human. 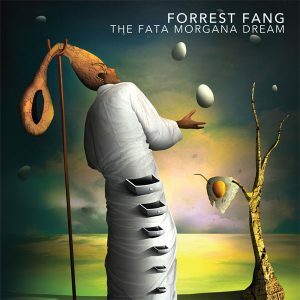 A rare treasure of an album, The Fata Morgana Dream deepens the mystery of the individual experience. In a masterful, tightly controlled performance Fang decorates our condition with music. Originality is a rare commodity in art, and works by this musician sound like no one else’s. Forrest Fang, it is far too easy to admire you. A dark wind, nibbled by sonic dust, rises and falls, like a waltz in two steps, to bring the introduction of “The Mouth of the Sea” to our ears. Beautiful orchestrations float there, as well as effects of rattlesnakes, bringing the winds towards the mouth of a Japanese harp. A brief festive speech follows in this Oriental tribal dance tune which is part of Forrest Fang’s sonic perfumes. Multilayers of winds and drones, supported by dark voices, embrace the Koto fever, enclosing the ambiances in an ambient tumult that will even exceed the borders of “Matted Leaves”. The Fata Morgana Dream is, and this by far, the darkest and least accessible album that the Sino-American artist has produced since I discovered his universe in 2011 with the album Unbound. Which is saying a lot! The music is darker and less melodic, except for “Lullaby for a Twin Moon”, with a rage contained in the power of sound waves which carve nightmares or mirages. This doesn’t mean an album to proscribe! Still very close to the territories of Steve Roach and Robert Rich, who also does the mastering, the music of Forrest Fang always has this little something special that charms the hearing. The tones of the Marxolin are quite attractive in this complex universe which responds quite well to the theme of the album; either forms of mirages which give the impression that objects float in the air. Minimalist concept, multilayer of synth drones, lines and voices. Tibetan percussions, oriental instruments and piano as well as shimmering melodious themes fill the ambiances of an album where the first 4 titles are a barrier of atmospheres which can discourage those who want to embrace the world of Forrest Fang.